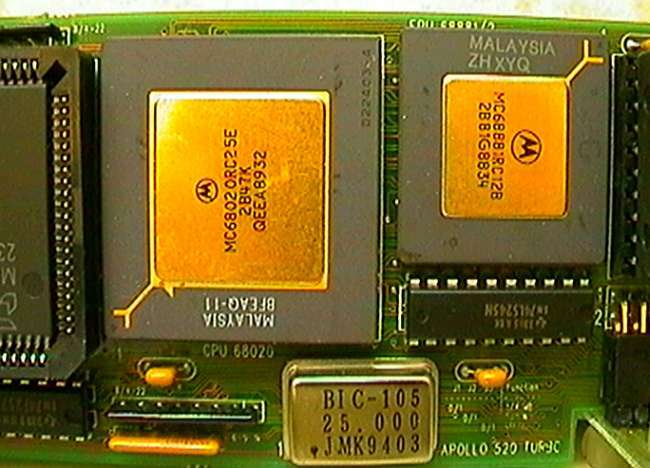 This card is designed to be attached to the internal expansion slot of the Apollo 500 IDE hard disk controller. 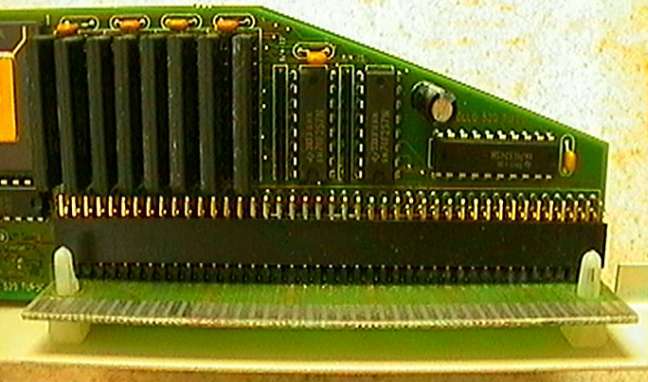 The card can take up to 4MB of RAM but the picture shows the card fitted with 1MB of RAM in the form of Siemens 256K 70ns ZIP chips. The card has an "ON/OFF" switch however this can only be accessed internally, ie you can't disable the card when the case of the hard disk controller is on. Page contributors: Arild Kvam, Stefan Nilsson, Thomas Langkau.